I read this article and found it very interesting, thought it might be something for you. The article is called TEAS Testing and is located at https://www.sampsoncc.edu/special-admissions/nursing-admissions/teas-testing/. **NOTE: As of August 31, 2016 ATI transitioned from the TEAS V to ATI TEAS. TEAS V scores will still be accepted to meet application requirements. TEAS scores are only valid 3 years from the date you took the test. Developmental Reading/English (DRE 096, 097, 098), unless waived by placement test or multiple measures. Each of the above courses should be completed within the past ten years (if high school courses, 10 years by graduation date) with a letter grade of C or better. Completion of a North Carolina approved Certified Nurse Aid I program and be currently listed on North Carolina Nurse Aide I Registry with no substantiated findings. The ATI TEAS must be completed within three years of the applicant’s proposed admission. One retake per academic year is permitted. This is true regardless of testing site. When retesting, applicants must retest on all sections of the test. Scores from more than one test will not be split, mixed or combined. Once you meet the required minimum score for eligibility, you may not retest for higher scores within the same academic year. When retesting for higher scores, the most recent score will be used. The examination is administered by Sampson Community College and payment is due prior to testing. The examination cost is set by the company. The fee is non-refundable and non-transferable. Registration and scheduling of the ATI TEAS must be done in person at SCC Student Services Department (not by phone or by mail). Applicants will not be allowed to take the nursing entrance exam (ATI TEAS) without showing proof of payment. Click here for ATI TEAS Registration Form. Testing will begin in the fall and will end by March 15 of each academic year. Students desiring admission into the nursing programs (Associate Degree Nursing or Practical Nursing) will need to complete the admission prerequisites courses and requirements by March 15th of the year in which entry is desired.  Sampson Community College reserves the right to schedule additional testing dates. Students who lack only one of the above prerequisites or requirements may test after March 15 at the college’s discretion for admission into the nursing programs. Official transcripts must be on file in the Admissions Office before scheduling a test date. Download the ATI TEAS Registration Form and bring to Student Services, located in North Building. Registration must be done in person with a counselor (not by phone or by email). Once prerequisites have been verified by a counselor, pay the $58 testing fee in the business office. Students must provide a copy of receipt to Student Services to confirm test registration. After registering for a test date, create your free ATI student account. This is required to take the ATI TEAS exam. Be sure to write down your login credentials and bring them with you on test day. If you already have an ATI student account, please login prior to test day to verify your login credentials. DO NOT create multiple accounts. If you forget your ATI login credentials, please contact ATI at 1-800-667-7531. The examination is administered by Sampson Community College and payment is due prior to testing. The examination cost is $58. This fee is non-refundable and non-transferable. Registration for the ATI TEAS must be done in person in the SCC Student Services Division (not by phone or by mail). Students will not be allowed to take the test without showing proper photo identification and an original receipt issued by SCC. Students can prepare for the ATI TEAS with several resources including the Official ATI TEAS study manual (sixth edition) and online practice assessments. The study manual is available in the SCC Bookstore or you may purchase one online at the ATI Online Store www.atitesting.com. The ATI TEAS is composed of 170 questions, 20 of which are unscored pretest items. Thus, the number of scored questions on which individuals will be evaluated is 150. The total time alloted to complete the test is 209 minutes. The test is comprised of four sections: Math, Reading, Science and English and Language Usage. All personal belongings must be stored out of reach. This includes coats, jackets, hats and sunglasses, with discretionary allowances for religious apparel. Students may bring two #2 pencils; students are not allowed to have any other personal materials at their testing station. Scratch paper will be provided by the testing proctor. You are not allowed to use your own scratch paper. All scratch paper will be collected and destroyed after testing. Students may use the calculator that is available as a pop-up during the test and can be launched from the Web page. No personal electronic devices of any kind are allowed during testing. This includes, but is not limited to cell phones and personal calculators. Food and drink, unless predetermined as medically necessary, are not allowed in the exam room. Ear plugs will be provided by the proctor before testing begins. Once you have finished your exam, you are free to leave the testing site. 1. Print your exam results and ATI transcript, a free service provided through ATI. Use ATI’s LiveChat option for assistance! 2. Take exam results and ATI transcript to Student Services and see a counselor. 3. Obtain and complete the Program Application in Student Services. 1. One retake per academic year is permitted. This is true regardless of testing site, and verified by the submission of the ATI transcript. The most recent score will be used. 2. Applicants must retest on all sections of the test when retesting. 3. Applicants may not retest for higher scores within the same academic year. 4. If you choose to retest, you must register for the second test session with a counselor in Student Services. The retest is $55.